42 seats / 2-2-2 formation. 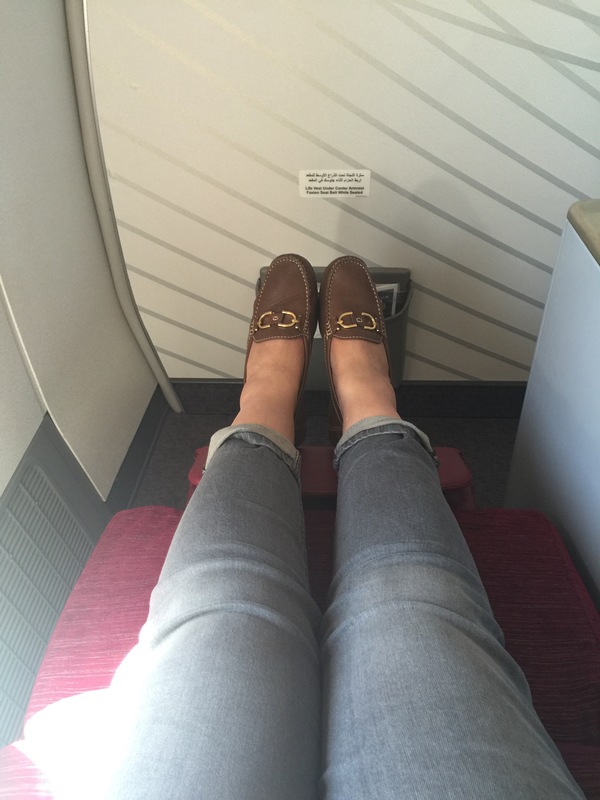 In July 2016 Qatar Airways won three awards at the 2016 Skytrax World Airline Awards , including World’s Best Business Class, so I was expecting great things when I boarded my flight home after a weekend in Doha. 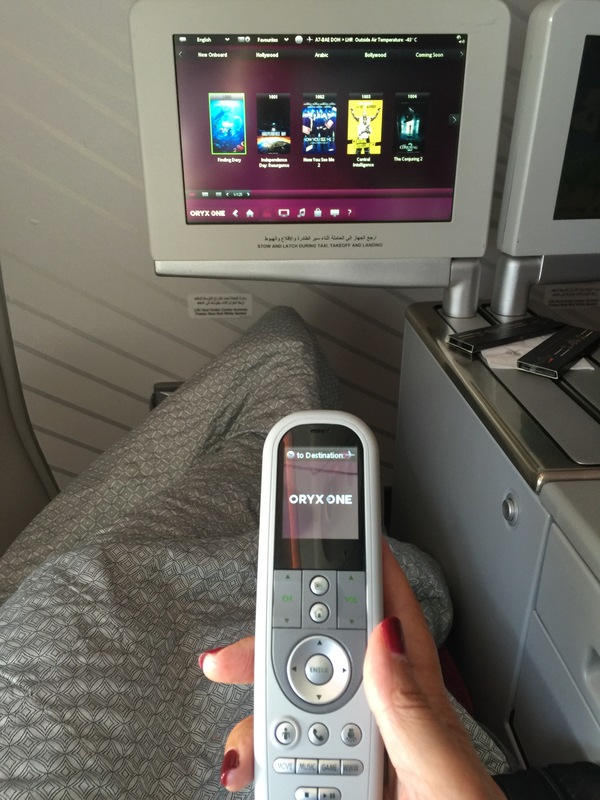 This review is of my in flight experience flying from DOH to LHR in Business Class on Qatar Airways Boeing’s 777-300. Upon boarding there were two separate boarding jettys one for business & one economy passengers, so with only 42 seats in business everyone was on board, packed away and seated swiftly, without waiting for all 316 economy passengers to traipse through the cabin. There was already a pillow & blanket on my seat waiting for me, the pillow was nice and firm and the blanket was decent quality and kept out the onboard drafts. Upon taking my seat , the Cabin Services Director came over and introduced herself to me, addressing me by name which I thought was a nice touch. The flight attendant then came round taking drink orders and handing out hot towels , unfortunately I’m not a frequent visitor to business class, so I thought I’d push the boat out with a glass of pink champagne before take off . I was happy to see that despite being on an older plane, that the seat was wider than normal and the seat reclined totally flat as well a great vibrating back feature. I found the entertainment system disappointing , the film selection was the same on both legs of the flight, so I’d already watched what I wanted on the flight out. I struggled to find anything to watch on the flight back, and in the end I resorted to watching BBC i player on my I phone. It was also impossible to use the handset with my false nails !!. Oryx on board entertainment system , fiddly to use with nails !!. Qatar Airways has an anytime dining menu, so as soon as your ready to eat the crew will prepare your meal in approx 10 minutes. the service was prompt , professional and there was an extensive food choice considering your on a plane. One of the things I love about business class is the dinner service. I started my meal with the Arabic mezze, it was beautifully presented with generous portions. Just because your on a plane, you still get the full resturant service, with metal cutlery and a crisp white table cloth. 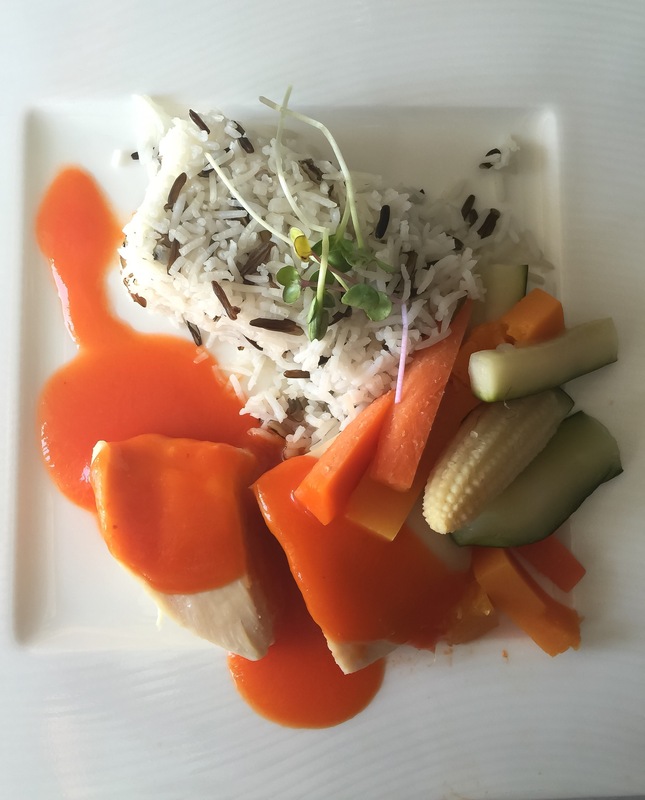 For my main I went for a low calorie option of plain chicken with wild rice & vegtables , it was a tad bland, but I think this was to do with my what I chose, rather than the actual food. after saving calories on the main course , I decided to splurge on some icecream & fruit for desert, which was of course divine. After the dinner service, just in case you had a spare inch of stomach space left , some fancy chocolate were handed out to munch on. How anyone could ever complain about a business class flight I dont know, as I usually sit alot further back at the rear of the plane on my travels, this was a rare treat. I almost wished they’d fly around a bit longer so I could enoy a few more hours in aviation heaven. The main thing that stood out to me on the flight was the service, I staged my own experiment by ringing on the bell for the attendant, usually a big passenger no no, the flight attendant was there in less than 5 seconds!, it seems the skytrax world airline award for best staff service in the middle east was richly deserved. And just when I thought the dream was over , as I disembarked, I got handed a fast track card to get me through immigration in record time , just what you need when your trying to fight through the queues in Heathrow. Please note my flight was kindly provided by Visit Qatar in order to write this review , but my views & opinions are as usual all my own. Next Are pay to enter airport lounges, worth the money ?…..
What a luxury! Food looks so delicious! it sure was , great qatar service !! Fancy! I like how they give you free chocolates, that’s awesome. I never took business class before so this was pretty interesting!